This exciting DVD will change your life! 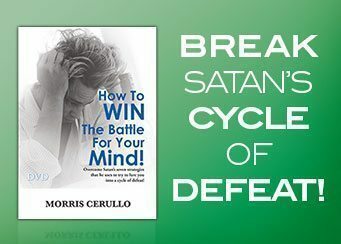 Overcome Satan’s seven strategies for the cycle of defeat as you learn how to wage war with the enemy in the real battlefield of your mind. You will learn tactics for overcoming depression, oppression, obsession, temptation, fear, demonic possession, delusion, and deception.